EGO Zlin, spol. s r.o. 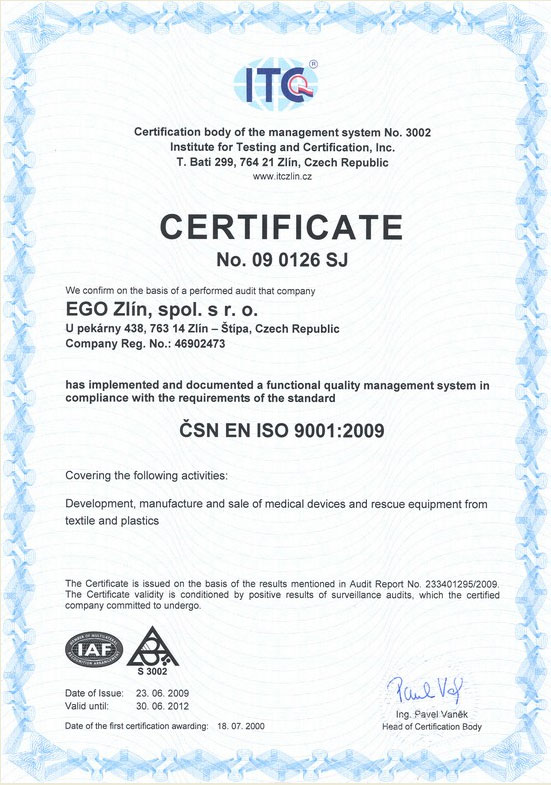 (Ltd), a Czech company, established in 1992, has been becoming very early a high regarded producer and distributor of systems used when dealing with critical situations (traffic accidents, environmental disasters, industrial disasters, occurence of dangerous infections). The company deals mainly with special health care sector, integrated rescue services, civil defence, military health care, CBRN units or urgent medicine and also in treatment of long-term patients. This product is mobile device determined for primary transport of individuals suspected of highly dangerous infection or individuals touche by microbiological agents from contaminated place to a stationary plants designated to treat such individuals. 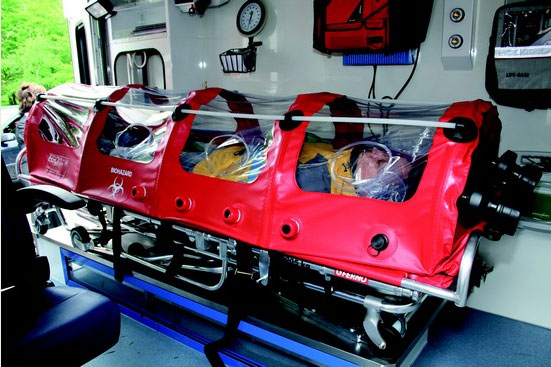 It can be even used for transportation of patients with hypo-immunity in order to protect them from an "impure" environment. 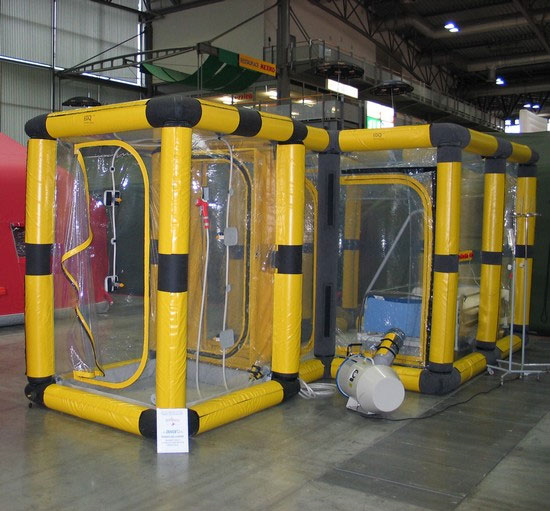 The isolation negative pressure chamber Biobox EBXT-06 with inflatable tubular construction designed for isolation and hospitalization of individuals with highly dangerous infection. The protective Biobox function is based on negative pressure creation inside the isolation chamber, thereby protecting the surroundings from highly dangerous infection transmission. PROJECT: Purchase of inflatable tents, containers and other equipment for field camps.